As we approach summer and temperatures increase, homeowners need to start thinking about the condition their air conditioners. The hotter it gets outside, the more you rely on your air conditioner. With the high temperatures we see in Johns Creek, Georgia, you don’t want to imagine going without your AC unit during a brutal summer day. That’s why you need to have a local company you can count on when your system breaks. At Cool Masters HVAC, we strive to provide you with the top AC repair Johns Creek, GA has to offer. 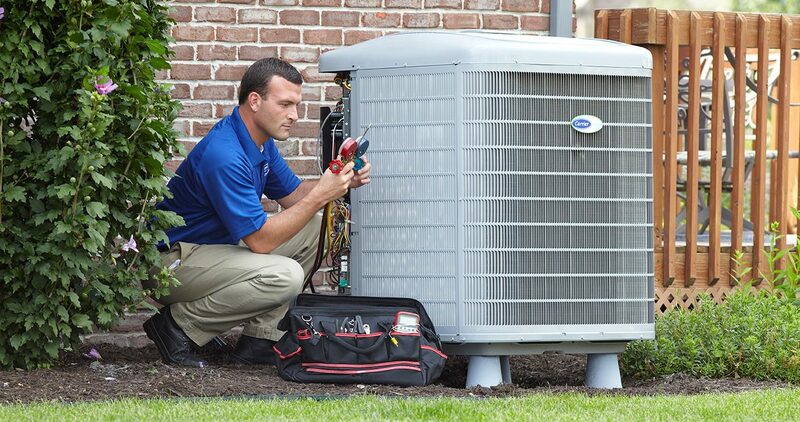 Whether you need central air conditioning repair or need a brand new unit installed, you can count on our experienced HVAC technicians to manage your cooling needs. Power bills tend to increase as the temperatures rise. However, if your bills seem much higher than they were at the same time the past few years, you could have a problem with your air conditioner. The harder your system has to work to cool your home, the more expensive each bill is going to be. Regular maintenance can help prevent AC problems, but at some time all homeowners will need some work done to their HVAC systems. If you think your air conditioning unit may need repairs, contact the Johns Creek air conditioning repair experts at Cool Masters HVAC today! Is it time for a new air conditioner? Our team can assist you in choosing the best unit for your home. We will analyze the size and structure of your house and recommend the most practical model. Unlike some HVAC contractors, we do not try to upsell customers just to make an extra buck. We value our clients and have earned the trust of repeat customers all over the area. Whether you live near the Newtown Community Garden, the Atlanta Athletic Club or anywhere in the Fulton County area, we have you covered. If you want your air conditioner inspected, repaired or replaced, look no further than Cool Masters Heating and Air. We also provide emergency AC repair services for any urgent problems you may encounter. Our entire staff has worked hard over the years to earn a reputation as a trusted provider of AC repair Johns Creek, GA. Check out the reviews on Google Plus or our review page and see why so many homeowners count on us for all of the AC repair needs! The city of Johns Creek is relatively new. While the area has been referred to as Johns Creek for years, it wasn’t officially declared a city until December 1, 2006. The area is popular for both home and business owners and is a short drive from a variety of attractions including Downtown Atlanta and the North Georgia Mountains. Serving the 30022, 30005, 30097 and 30024 areas.